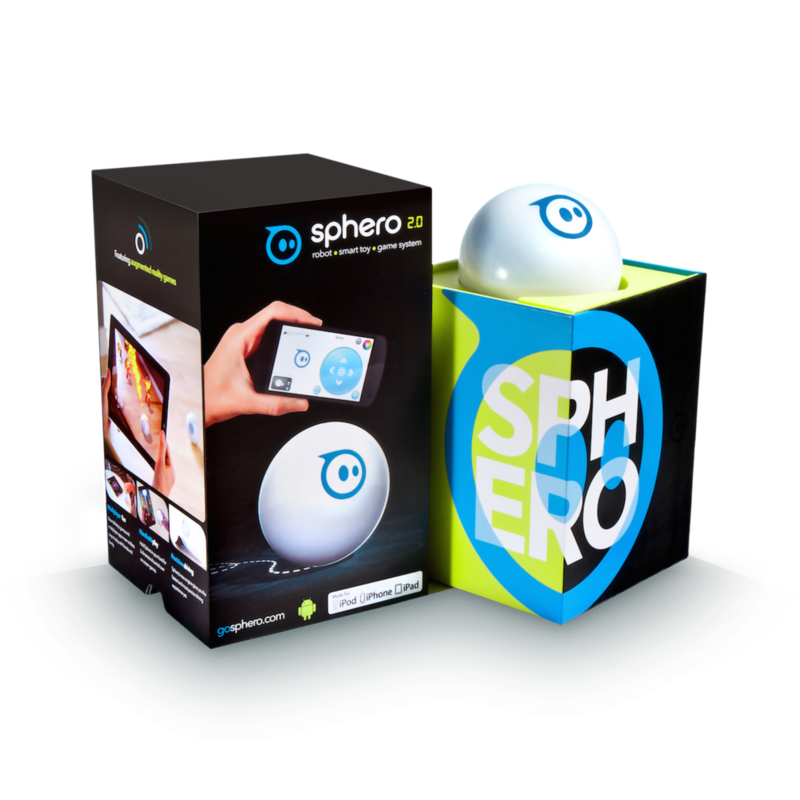 Sphero 2.0 rolls at speeds of up to 7 feet per second and pairs to your device via Bluetooth with a range of up to 100 feet. Powered by induction charging, Sphero 2.0 is three times brighter than the original and is pet proof, waterproof, and ready for any adventure. As a bonus, 2 ramps are included in each box and you can choose from over 25 apps to launch a whole new world of mobile gameplay.